In 1999, The Original Muck Boot Company® was started with the sole purpose of supplying the most comfortable, high performance outdoor footwear in the market. Over the years, Muck® Boots has expanded into work, farm and garden, outdoor sporting, equestrian, and casual footwear. Our exclusive technology and construction sets the standard for comfort and quality in outdoor footwear. Today, The Original Muck Boot Company® has built a reputation for providing the most reliable footwear, that work anytime, anywhere, and in the harshest conditions. 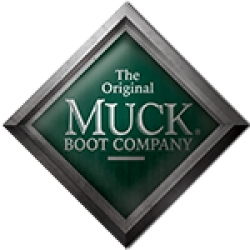 The Original Muck Boot Company®, Style for those with Substance.